The Shimano Ultegra BR-6800 components offer an ideal balance of light weight and stiffness, making it the perfect choice for both enthusiast and competitive riders. The low profile aerodynamic direct mount Super SLR-EV Dual-Pivot design provides superior brake performance and light action. It must be used in conjunction with super SLR levers for correct leverage ratio. Superb product, provides strong and well modulated braking with alloy rims. A significant improvement over the original brake calipers. Very good value for money. Good price for Good product. Delivery was also fast. Thanks to you, I managed to upgrade my drive train without any problem. With the Shimano 105 5800 being such an outstanding performer, you'd have to seriously question whether you really need to splash the extra cash on the next level Ultegra components. I did that very thing when putting together my new build, and ended up having a mix of both. The brakes being the most worthwhile investment (with the Ultegra shifters a close second) Everything else is 105. A pair of 6800 calipers will save you just over 40g compared to the 105, and do look sleeker too (if that sort of thing is important to you). But you really do notice an improvement in braking - both in terms of stopping power and effort required to engage them. Okay, not a million miles better than the 105s, but noticeable all the same. Replacement for standard Merida Pro brakes delivered with the bike. Great improvement in weight and capability in stopping and at the price a no brainer wish i had done it earlier. 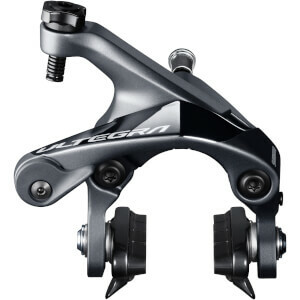 Shimano brakes are better than other brands. 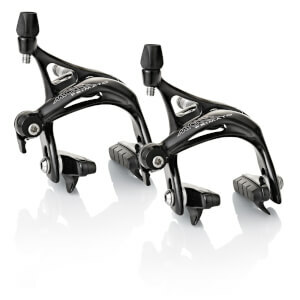 Both my bikes came with non-series Shimano brake calipers and I decided to change to the Ultegras. Really glad I did, noticeable difference - lighter action which improves the stopping power. Look good to!!! When I built up my new bike with the Ultegra 6800 groupset, two things stood out. The front derailleur was smooth and quick and the brakes were a big improvement over the 105 calipers on my 2011 TCR. I knew that I had to upgrade the older bike. There are bike parts that have more bling than brakes, but if you want to be both safe and fast, you have to be able to stop quickly and predictably. These Ultegra 6800 calipers will do just that. I had the BR-6800 brake caliber set, front and rear, installed on my older Trek Madone 5.3 with Ultegra 6500 brakes as an upgrade to new wheels and Shimano PD-6800 Ultegra Carbon Pedals. The braking has moved from average to superior, with no wheel chatter. Remember to ensure your wheels are balanced before you start. The initial brake pressure you apply needs to be watched until you get used to the stopping power. No wheel lock-up under hard braking and the feel of the evenness and effectiveness of the stopping power of the pads is delightful. 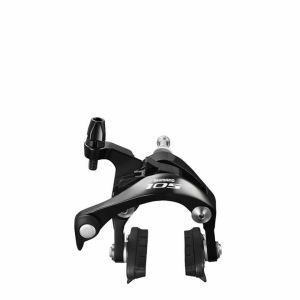 The price point of the BR-6800 Callipers from Probikekit is right in my wheelhouse and should be in yours too, as compared to other manufacturers. The ease of installation, basically a swap-out and bolt on, was without incident and the effectiveness of braking with the BR-6800, rain or shine, is quite remarkable. Well done Shimano, another very good product.